Pink Floral Wedding Suite We're finally entering wedding season as the climate warms up. 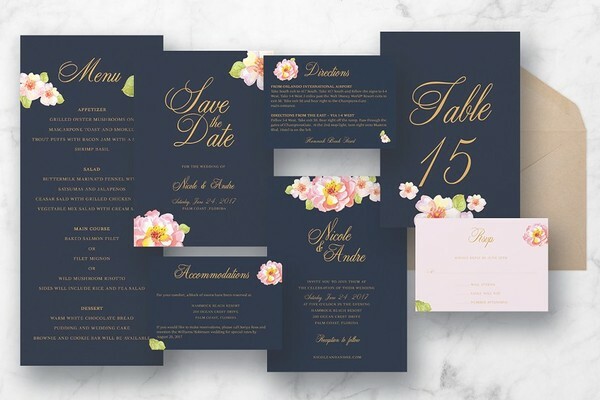 With that being said use this beautiful pink floral wedding suite to inform your guests of your upcoming nuptials. This set includes 7 items: Save the Date, Invitation, Table Number, RSVP, Directions, Menu and Accommodations cards. With this set you can easily change colors of the fonts and background. Free font links will be included in the pdf file.